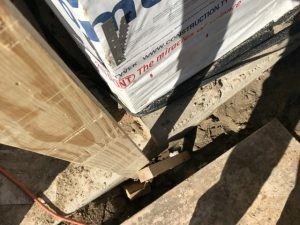 A very common deficiency in Houston are foundation wedge cracks, also known as “corner pops”. These are the result of construction errors. The good news is these cracks generally do not affect the structural integrity of the foundation. They do, however, create a highway into your home for termites and other unwanted guests. 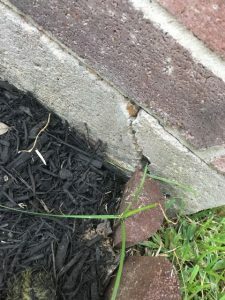 Wedge cracks result from the differing expansion rates of concrete and brick mortar. The difference creates pressure at the corner and the result is a crack as the weak foundation corner gives way. Why doesn’t this happen all around the foundation? 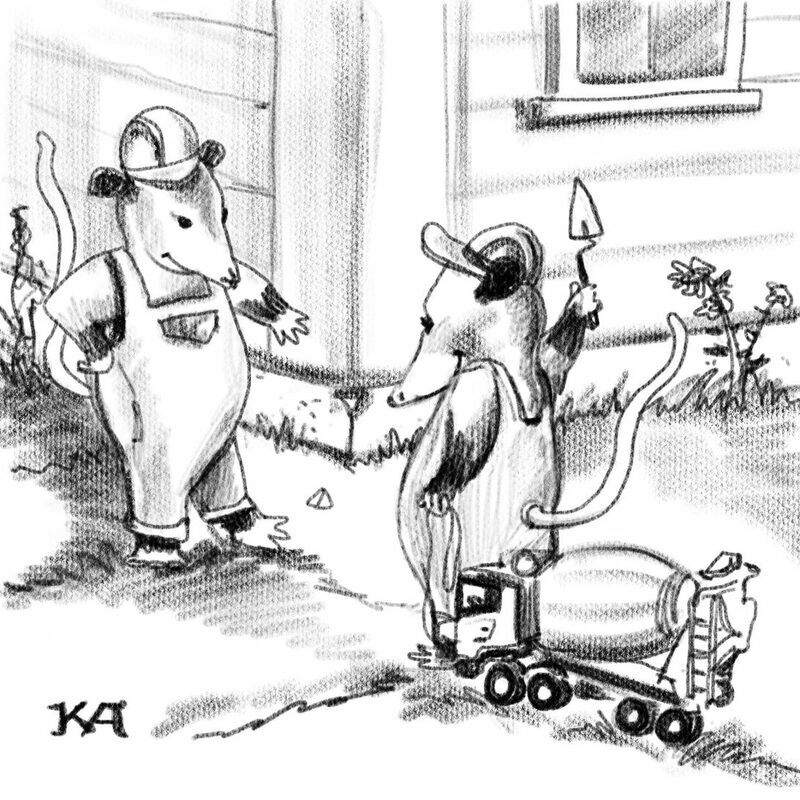 That is where the construction error comes in. During construction, a layer of polyethylene plastic or other suitable material is applied to act as a flashing to direct water away from the interior. This plastic flashing also acts as an isolation membrane between the brick mortar and concrete of the foundation. Problems arise at the corners. If you have ever wrapped a gift you will have some understanding of the problems with corners. It takes some skill to properly cut and fold the plastic to lie flat and properly protect the corner. When this does not happen, direct mortar to concrete contact occurs. ally not a threat to the structural integrity of your slab on grade foundation. However, they do provide a hidden path into the wood structure of your home that moisture and insects will find very convenient. 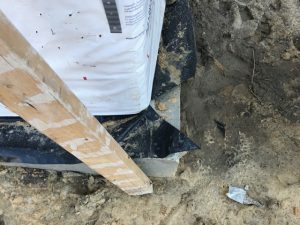 For these reasons, foundation wedge cracks should be sealed. When you do seal them, be sure to dig down to the bottom of the foundation and seal them completely. Replace the disturbed soil and compact it as much as possible when the sealing job is complete.